Moar nail art! Ok... it's more like kinda skittles/skitlette on a really lazy day, but i really love how it looked and wore it for at least a few days, so it deserved a spot here. 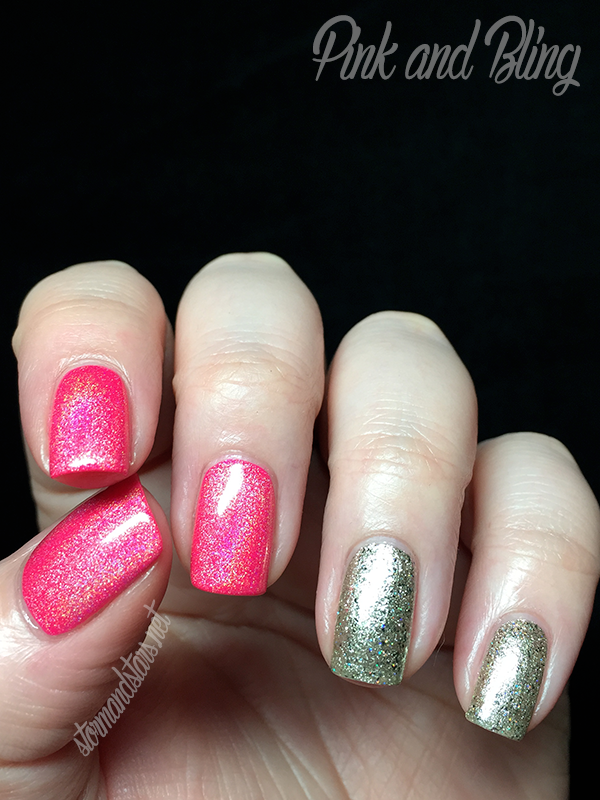 I used some of my favorite lacquers in this mani and I hope you love them too! 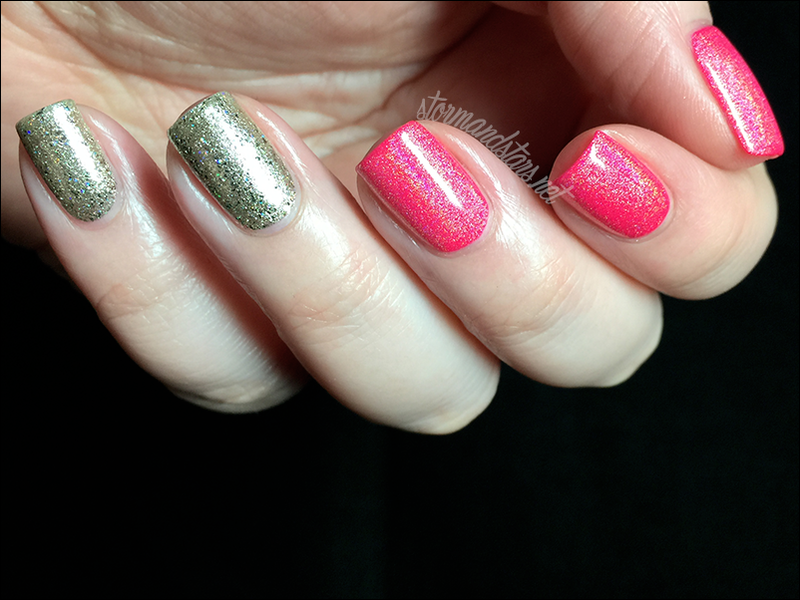 I started with a base of Pipe Dream Polish On The List from the A Night In Vegas collection on my thumb, index and middle fingers. This pink is BRIGHT!! I added a single coat of my favorite holographic topcoat from Liquid Sky Lacquer and finished them off with a coat of shiny clear topcoat. 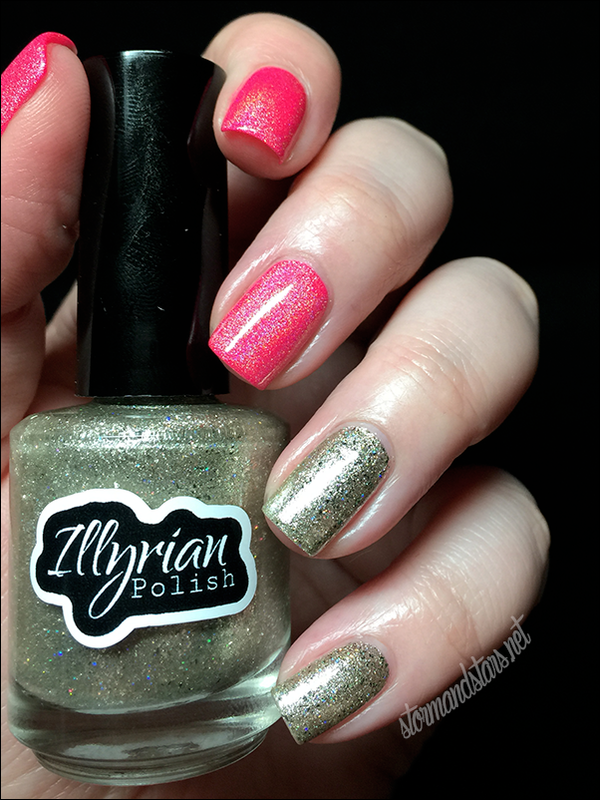 On my pinkie and ring fingers I painted on one of my newest favorites, the April LE from Ilyrian Polish. If you haven't tried out Ilyrian, you are missing out. Her polish is top notch and I haven't been disappointed yet. This one is super shiny and metallic plus its loaded with holographic sparkle as well. I was going to add nail art or stamping to this, but I loved the simplicity of it so much that I just let it be as is. Sometimes I just need simple. I hope you enjoyed this nail... whatever it is haha! Have a lovely day! Nail Art | Happy Birthday Nessa!